Whenever I rode pass the freeride park at Gangsa, my heart kept telling me to give it a shot. I always wanted to jump like a pro and make those 6 ft drop that we saw on video clips. Safety was the only concern that held me back. I guessed it was time to invest in a good full face helmet and goggle. It serves as an insurance in the event of crash, and no more excuse not to attempt those jump and drop. 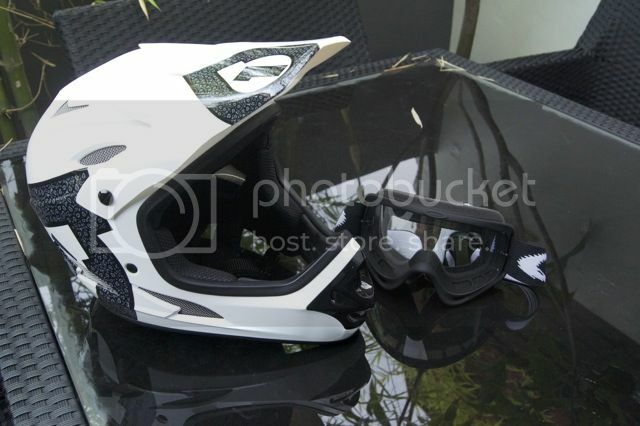 The 661 Comp Shifted 2012 version of full face helmet is surprisingly comfortable and light. The angle of view is relatively wide, which instill confidence during the ride. The white and black combo looks really cool, a perfect match with my black Oakley goggle.